Mark Wahlberg at his best. Magnificent crime film with smuggling as main theme. 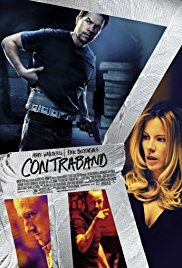 Excellent casted actors including Giovanni Ribisi. A great role and with a nervous demeanor as always. It always looks as if they pumped his veins full with some kind of synthetic drug. The basic idea is a bit stolen from “Gone in 60 Seconds“, namely an ex-criminal who was on the right path, going back to his old habit to help a family … Bwah … I can live with that. The action scenes are top notch and the atmosphere in the film remains exciting. Great movie for all I care!